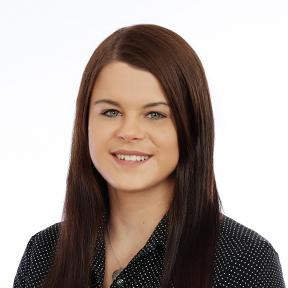 Jo is the Conveyancing Manager in our Commercial team. 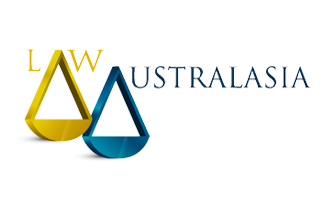 Jo predominately deals in residential, rural and commercial property transactions as well as water licence transactions in both Queensland and New South Wales. Growing up on a rural property west of Goondiwindi has assisted Jo in her understanding and knowledge in rural transactions. 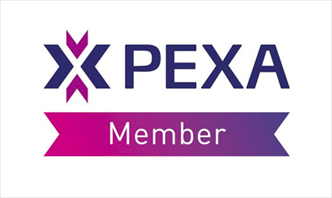 With over 17 years’ experience in the conveyancing department, Jo has developed strategies for dealing with the many issues which may arise in a conveyance as well as dealing with government departments and cross-border variances. 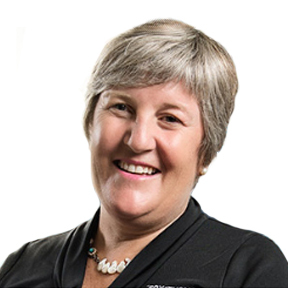 Jo strives to provide her clients with a dependable and hassle free conveyancing experience. 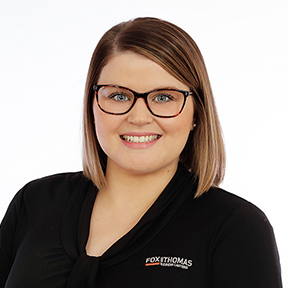 Kayla is a paralegal and is in charge of the paralegal team. She is involved in IT platform roll outs and is a member of the marketing committee. She predominately works in commercial and estate planning and enjoys the opportunies provided by her current position. Kayla was born in Bundaberg but is a long-time Goondiwindi resident. 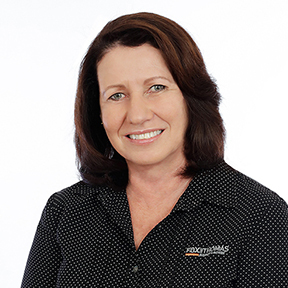 Julie Morris is a Conveyancing and Estate Administration Paralegal who works in our Goondiwindi office. Julie assists, and works closely as support for Jo Thompson, Juanita Yabsley and Kay Rhodes. Julie brings the friendly, approachable and well organised characteristics that are critical to being successful in this role. She enjoys the work and working with our team and is committed to helping our clients achieve success with their property transactions. 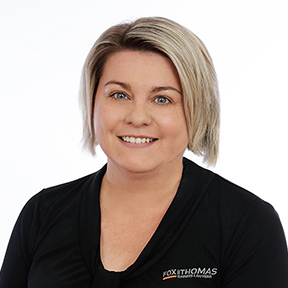 Julie has been with Fox and Thomas since 2014 and spent around 14 months in Accounts before making the move to conveyancing and estate administration. Before joining the firm she gained valuable experience in customer service and systems and processes while working for the Westpac Bank and as a sales assistant. Julie has called Goondiwindi home for more than 13 years after relocating from Brisbane with her husband and children. Penny is an experienced paralegal with long term connections in the St. George district. Her grandfather AR Coutts (Roy) moved to the district in 1914 and eventually established AR Coutts legal practice in the late 1920’s. Penny’s father Ian Coutts took over the practice in 1957. He ran the practice until it was bought by Fox and Thomas in November 1998. This provides her with an invaluable knowledge of the people and properties of south-west Queensland. Penny now assists our solicitors when they visit St George monthly. She lives south of St. George with her husband Peter on their sheep property. Debbie is the Estate Administration Manager for the firm. 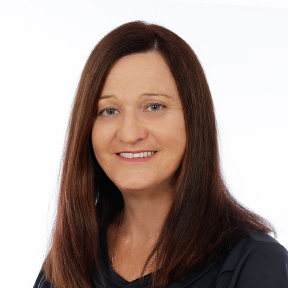 Debbie also has a wealth of experience in assisting clients and lawyers in family law matters..
Debbie was born in Goondiwindi and is a long-term employee of Fox and Thomas. Debbie enjoys the everyday challenges of working in a law firm and within a professional team. Debbie’s priority is to understand the needs of her clients and to provide them with efficient, professional and competent service.